Del Taco is the latest franchise to choose eLogic Learning’s eSSential LMS as its online learning platform. eLogic’s multi-locational, video management and real-time robust reporting functionality along with project management expertise required left a lasting impression during the evaluation phase. Del Taco was also influenced with eLogic’s depth of franchise model experience including discussions with a 7,000 plus location eLogic client: Dairy Queen. After months of research, discussion, and sandbox exploration, eLogic partnered with Del Taco to devise a ninety-day proof of concept which involved testing the LMS at a handful of stores. After the proof of concept, Del Taco had an end to end positive experience and were enthusiastic to sign a contract and roll out the program to its remaining stores. Del Taco was confident that eLogic and the eSSential LMS was the company and application to support them today and as they grow to meet future extended enterprise needs. eLogic also stood out as an industry leader that understands trends and provides enhancements to meet the needs. One of Del Taco’s favorite features – which many franchises require and appreciate – is the ability to provide permissions based on multiple, detailed user attributes, including geography, organization hierarchy within the organization, and more. It ensures that every role has access to the data and information they need, and no more than that. Del Taco also loved the ad hoc real-time reporting engine, which has access to all key information available in the LMS and provides customized, automated reporting at the click of a button. Support was one of Del Taco’s most important factors in choosing a new LMS vendor and they experienced the process during the proof of concept phase. eLogic’s U.S.-based support team responds to support tickets within thirty minutes and more than not resolves them within the hour or the same day. 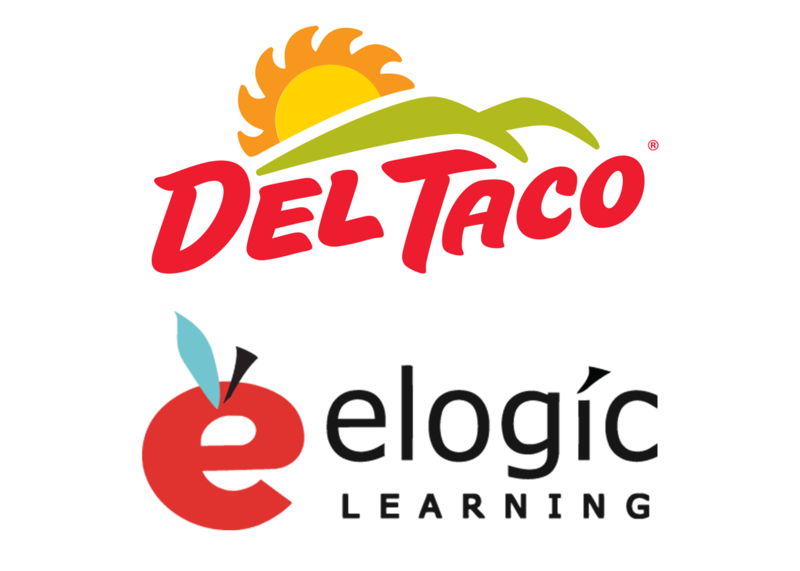 Since implementing the eSSential LMS, the Del Taco team has provided excellent feedback regarding eLogic’s evaluation and implementation process, training, support, and continued partner approach. Ed Hackbarth and David Jameson opened the first Del Taco in Yermo, CA in 1964. By 1977 there were 50 restaurants and by 1978 there were 100. The menu also grew, expanding to include items like the bun taco, quesadilla and ice cream sundaes. By 2006, Del Taco nearly doubled in size and opened the 500th restaurant in 2008. Del Taco has continued to demonstrate that you can still get delicious food made with fresh ingredients for a low price.